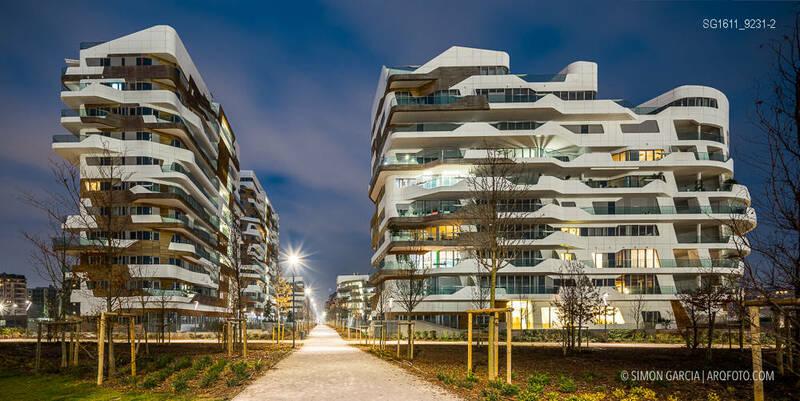 Citylife brings to the urban context a new model for work and leisure, an area to be enjoyed on foot or by bicycle, with traffic circulating only underground. 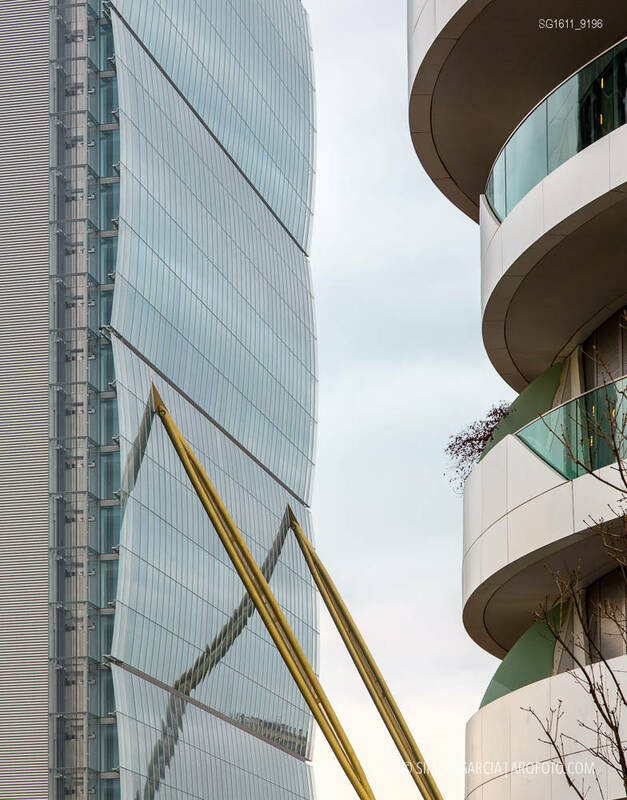 At the centre of the project is the business district — three office towers in the ‘piazza delle tre torri’: torre Isozaki (il dritto, the straight one), torre Hadid (lo storto, the twisted one) and torre Libeskind (il curvo, the curved one) — torre Isozaki will be 202 meters high (663 ft) with 50 floors, making it amongst the tallest in Italy by roof height. 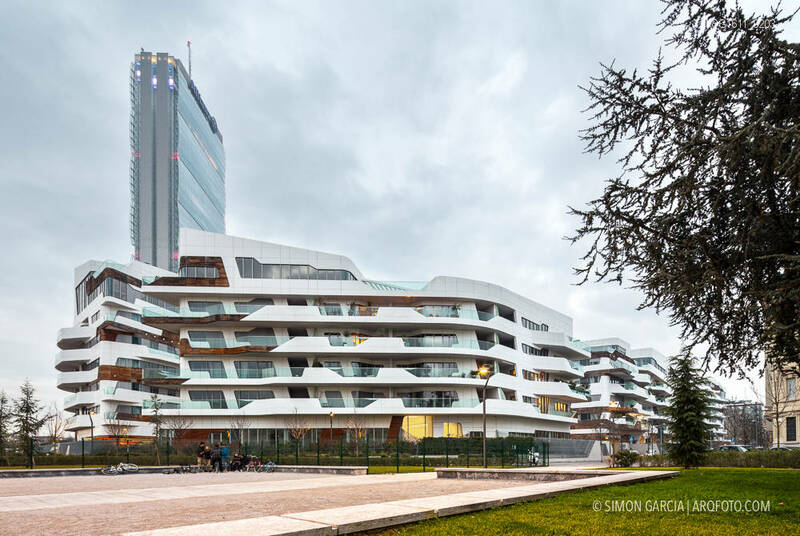 Torre Hadid will be 170 meters (558 ft) high with 44 floors, and torre Libeskind will reach a height of 150 meters (492 ft) with about 30 floors. 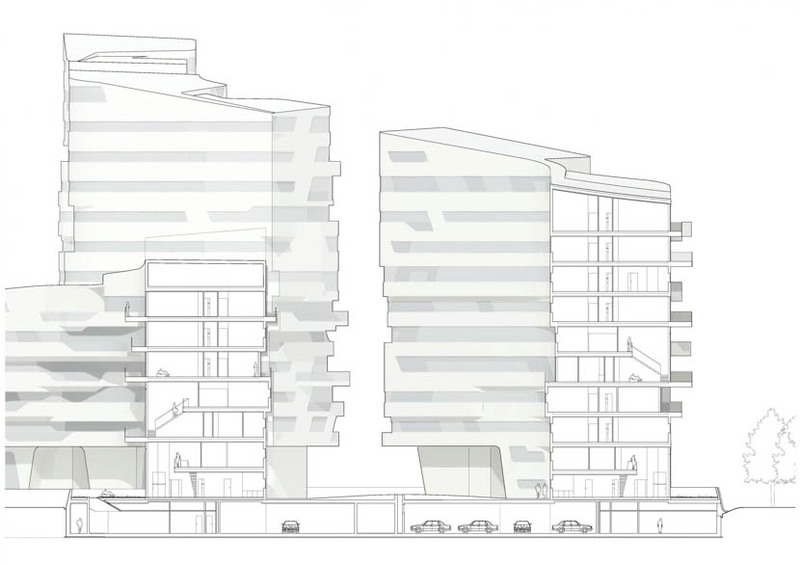 The three towers are able to accommodate ca. 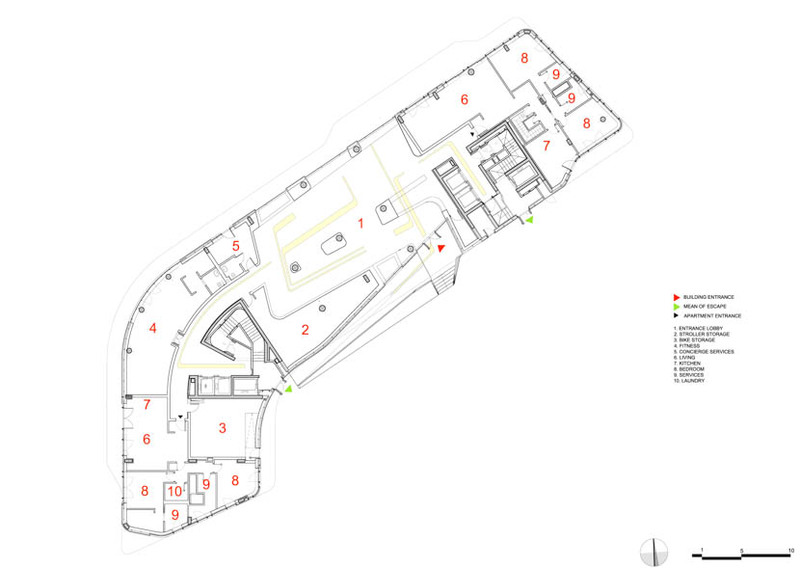 10,000 people, over a total of approximately 130,000 m2. 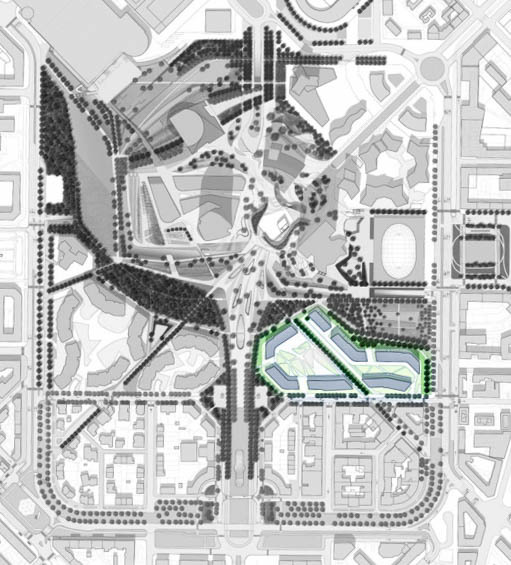 A contemporary art museum, a shopping area with bars and restaurants, and a pavilion for exhibitions, sports, entertainment and fashion shows are also part of the project. 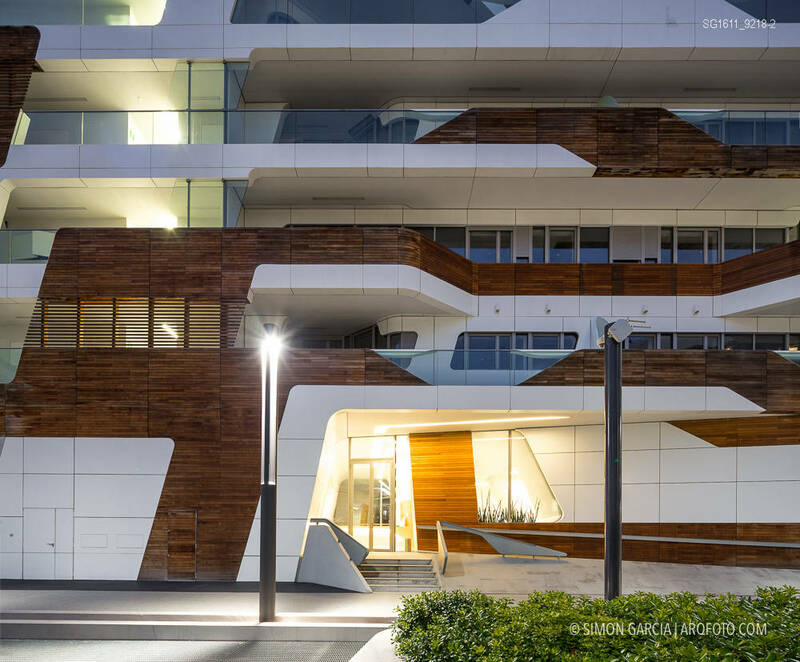 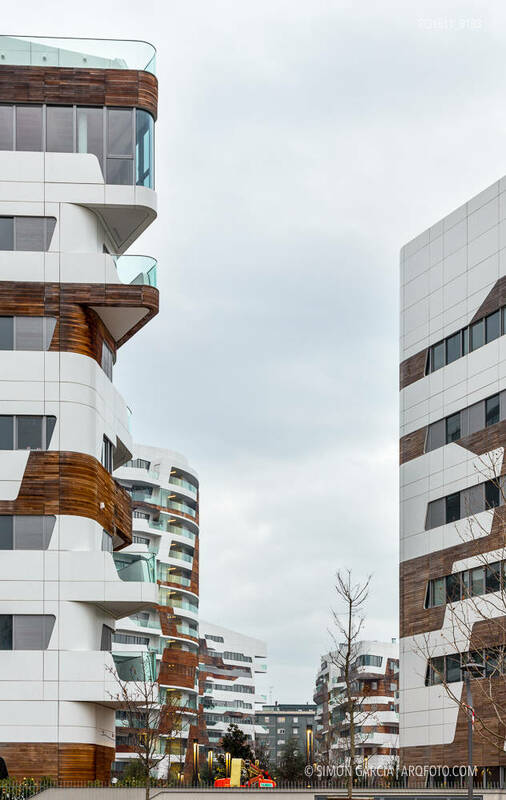 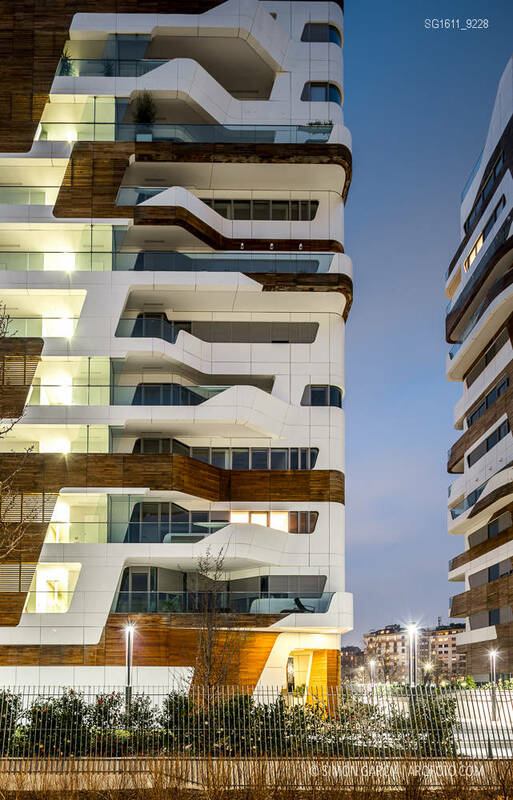 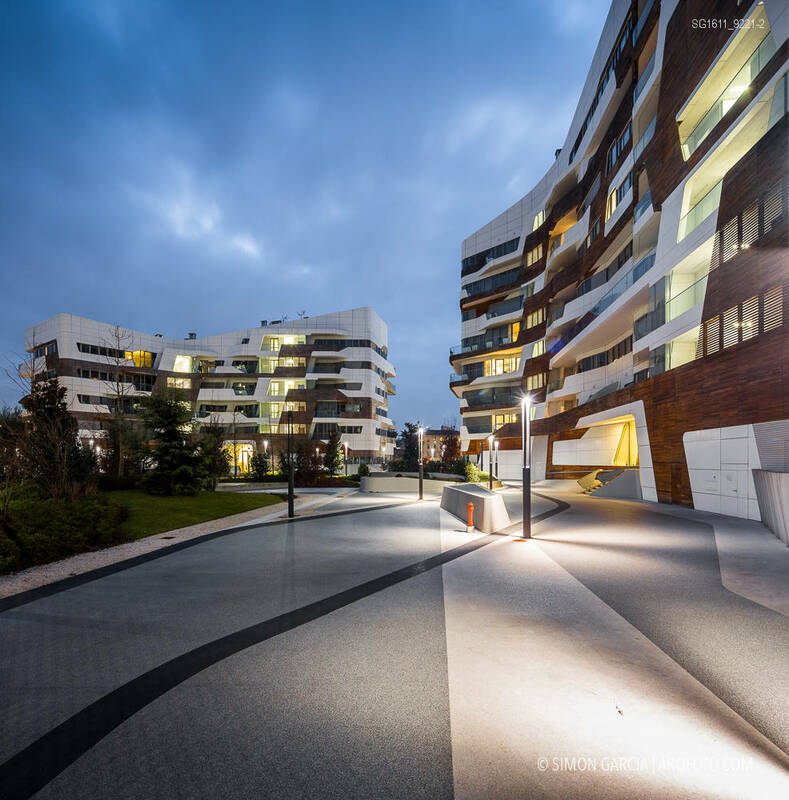 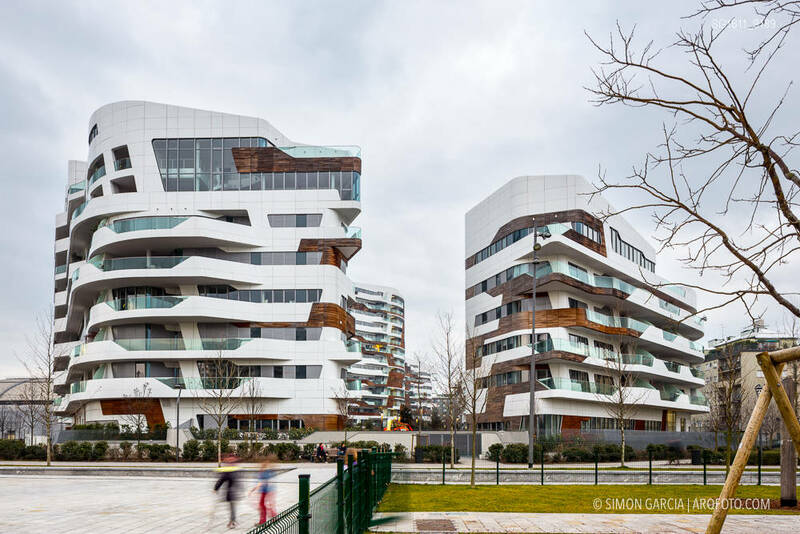 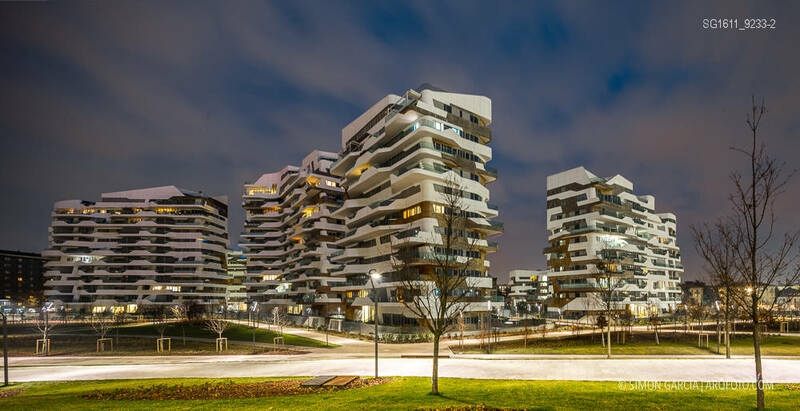 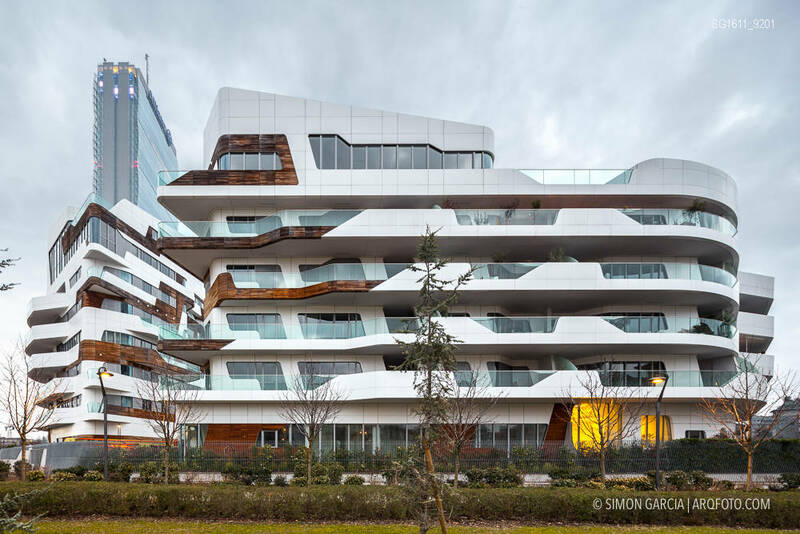 The skyline of Zaha Hadid’s CityLifeMilano housing complex is defined and characterized by a sinuous fluid line. 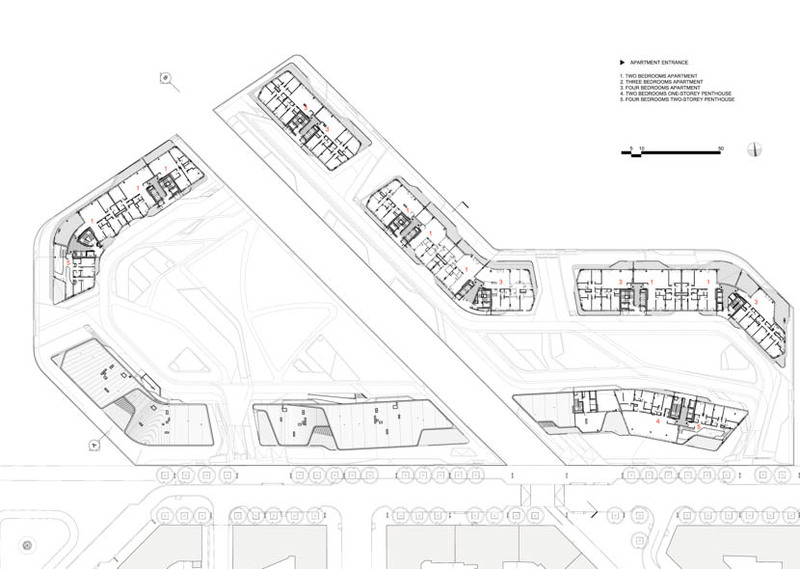 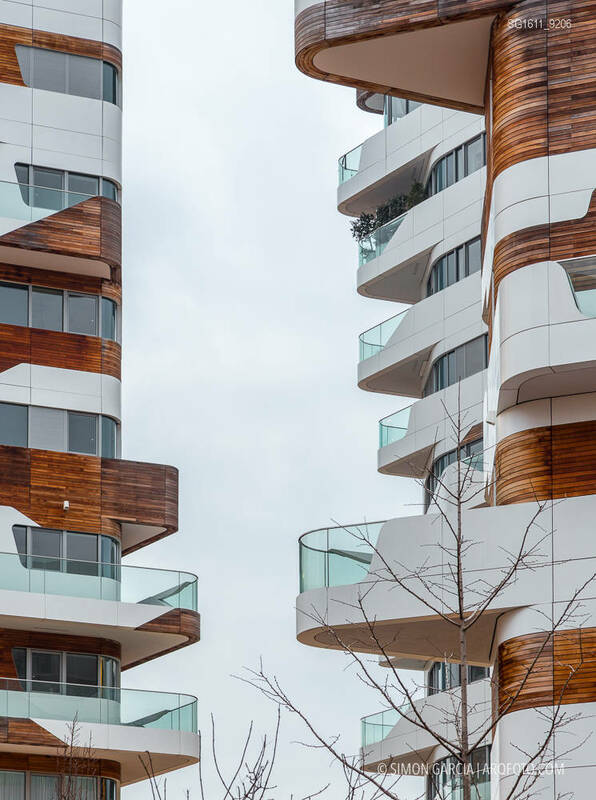 Residences are comprised of seven curved buildings of varying heights, from 5 to 13 floors. 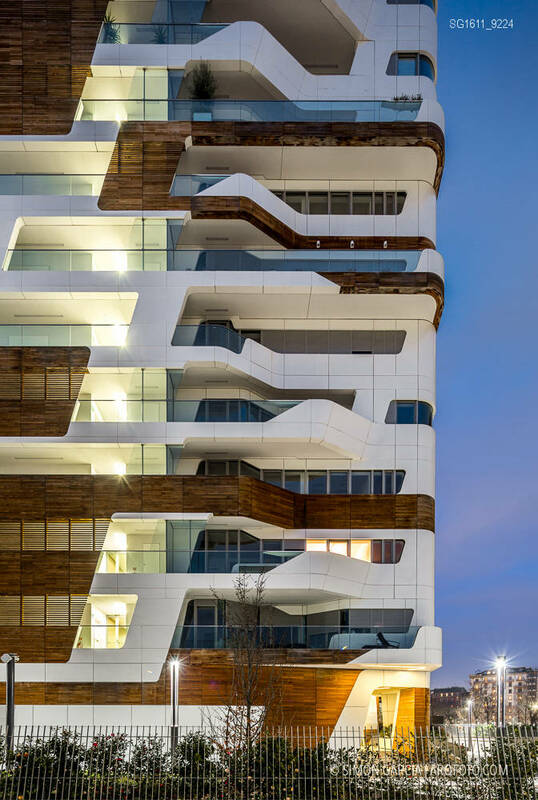 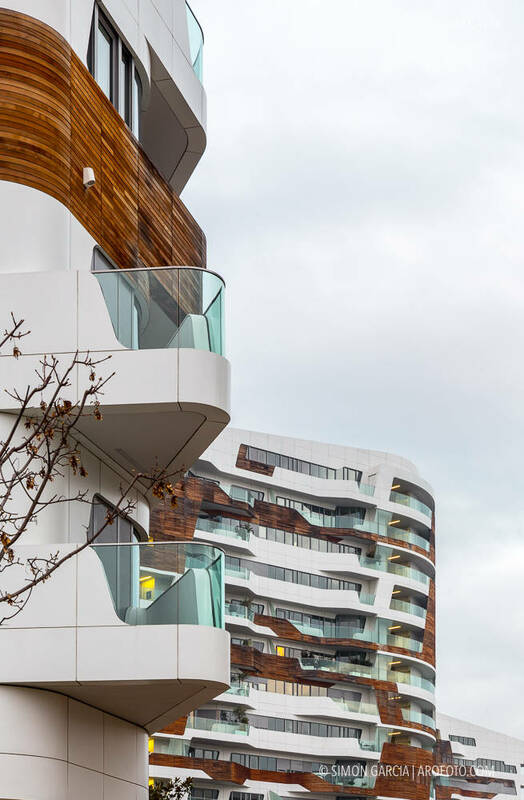 The distinctive architectural elements include a serpentine movement of the curved balconies and the profile of the roofs, which provide a soft and elegant shape for all of the top-floor penthouses, complete with extensive covered terraces. 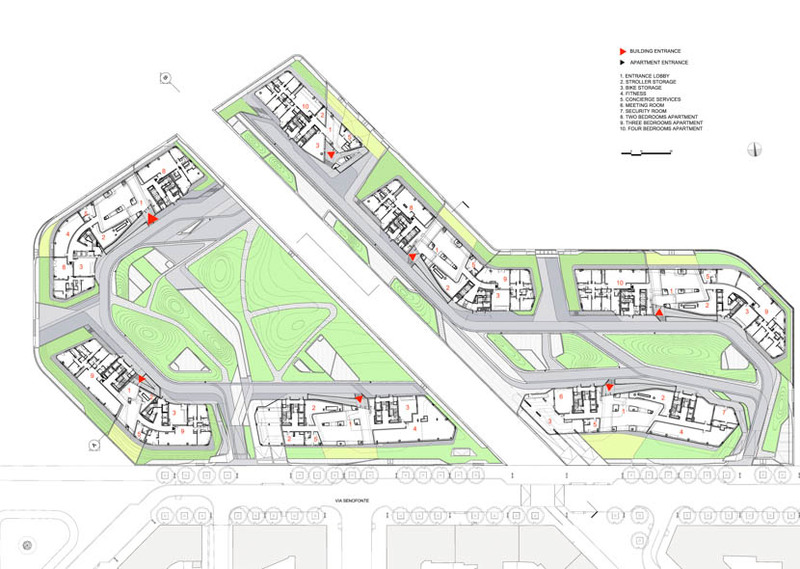 Construction of the residential complex began in august 2009, with delivery of the first apartments scheduled for 2013. 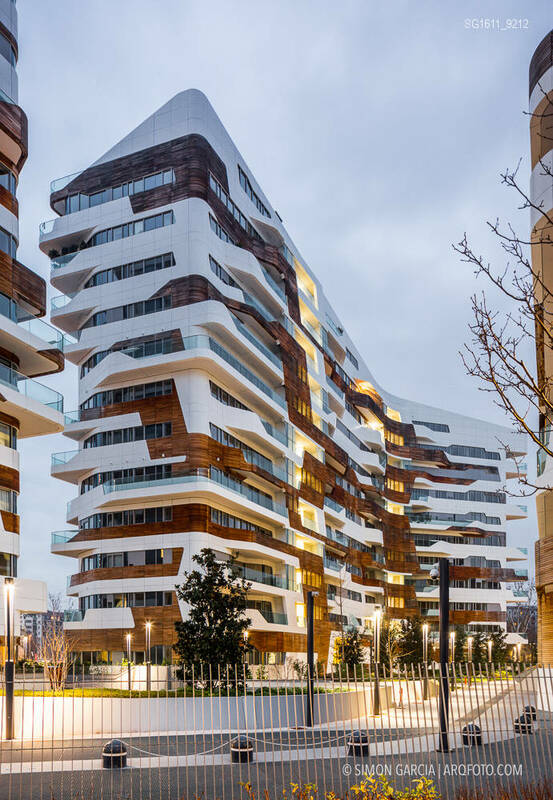 The interiors open onto extensive terraces. 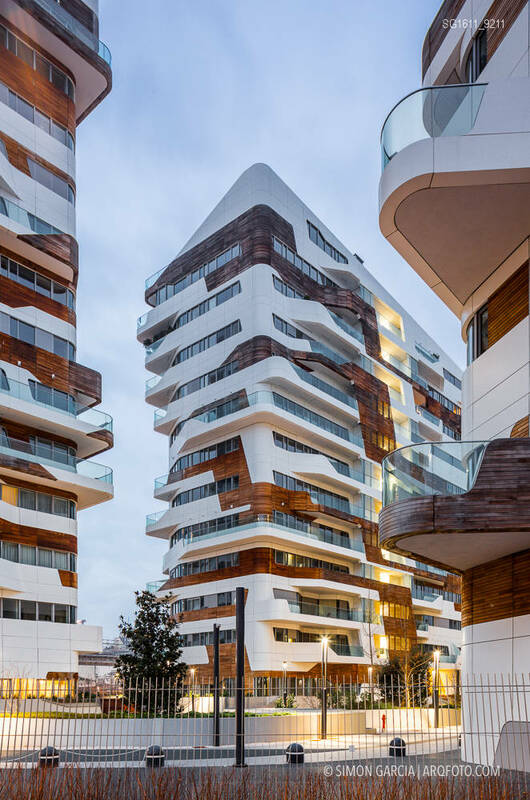 All of the apartments feature structural and plant solutions that can be easily adapted to individual needs. 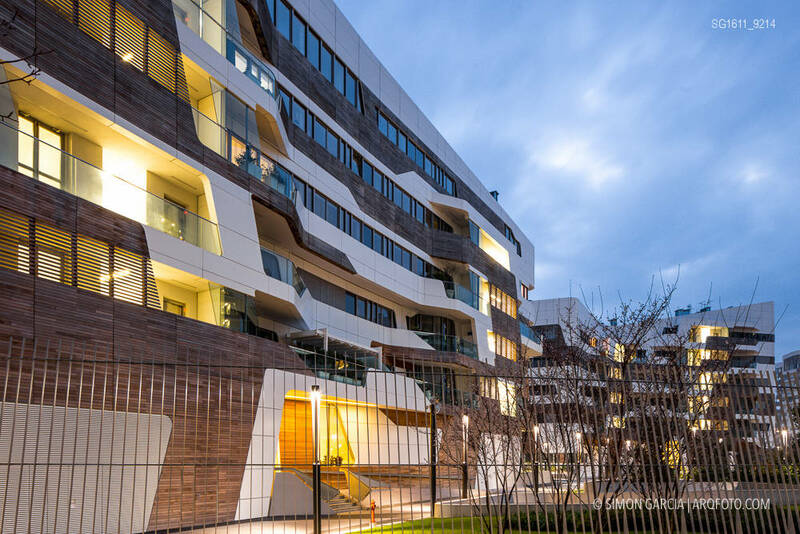 Each of the homes is different from the others in terms of size, exposure and layout: from two-rooms to large family apartments and twin-level penthouses. 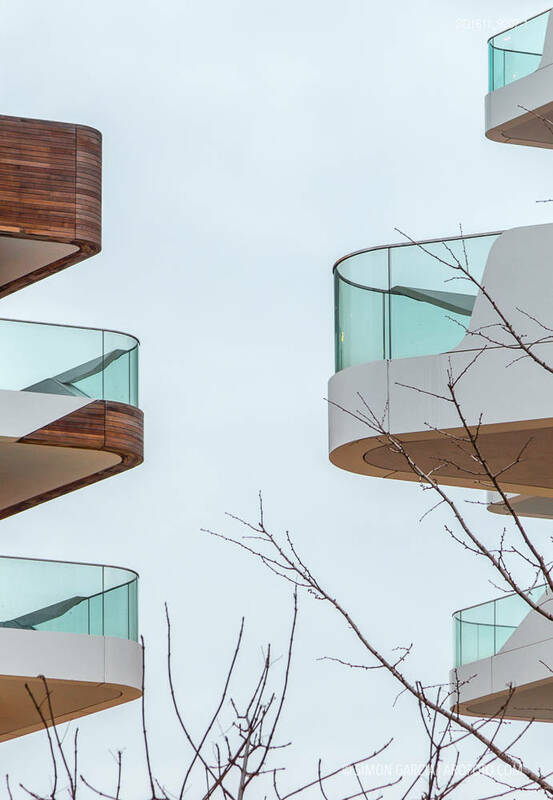 At ground level, the double-height lobbies are flooded with light by large openings stretching from floor to ceiling, designed to confer strong visual continuity with the park. 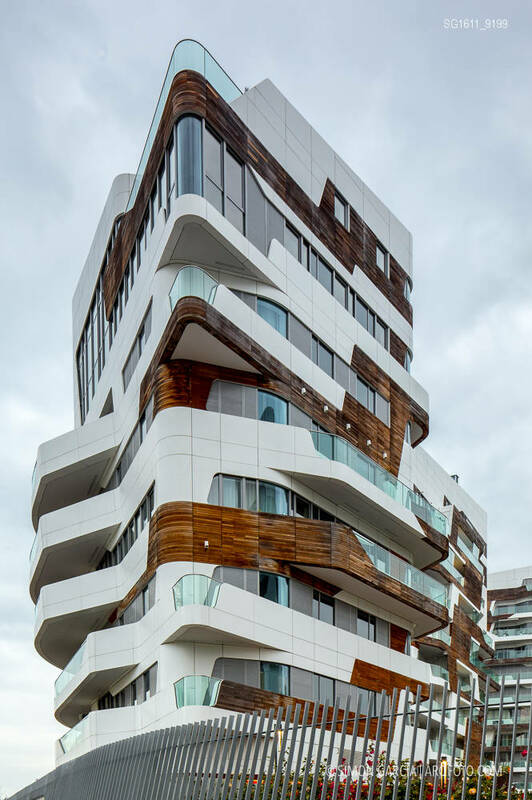 Access to all stairwells is provided by main and service lifts. 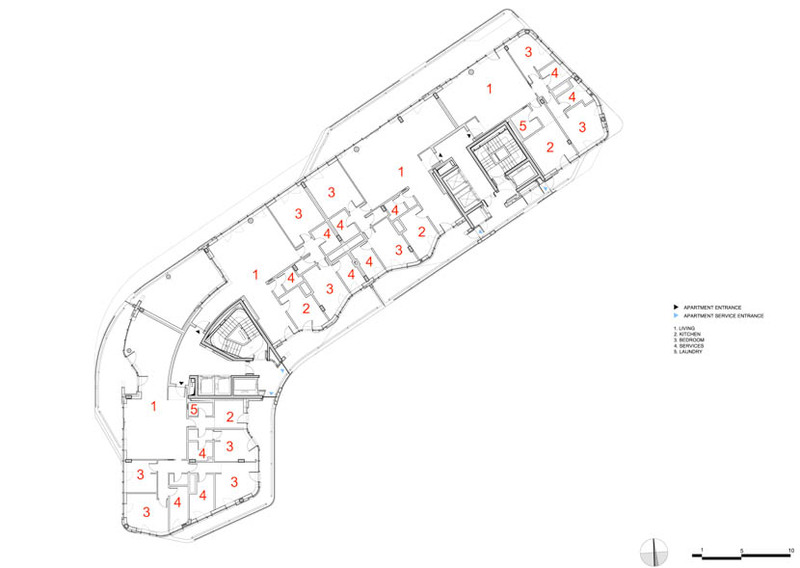 The underground parking areas lead directly to the individual buildings with easy, convenient and secure access.